Intensive Leave in Conditioner. Twisted Sista, . This product line is developed with a combination of plant derivatives and fruits that are believed to contribute to healthy hair results. It features a product offering of seven solutions that cleanse, condition, moisturise and style. 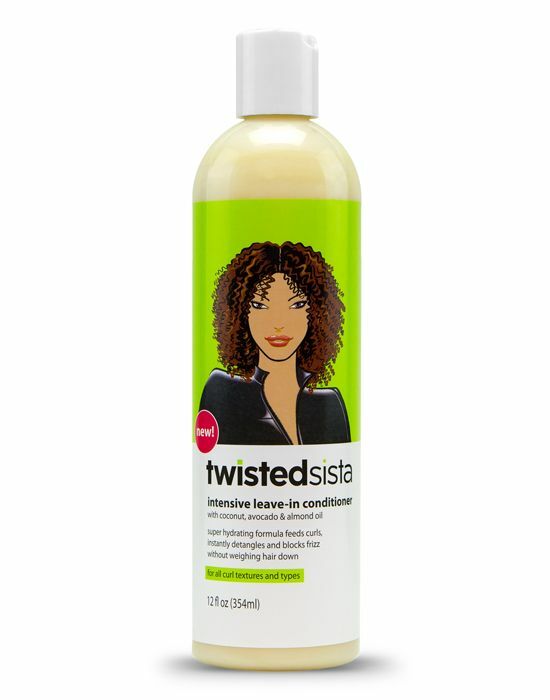 Formulated with avocado, coconut and silk amino acids to create soft manageable shiny texture curls without weighing hair down. Prevents frizz.